The Chauvet Ovation E-260WW IP takes the brilliant breakthrough concept of the Ovation E-260WW and places it outdoors. Our standard shutter assembly and lenses lend familiarity and ease-of-use to this groundbreaking IP65-rated ERS-style fixture with an output surpassing that of 750 W HPL. 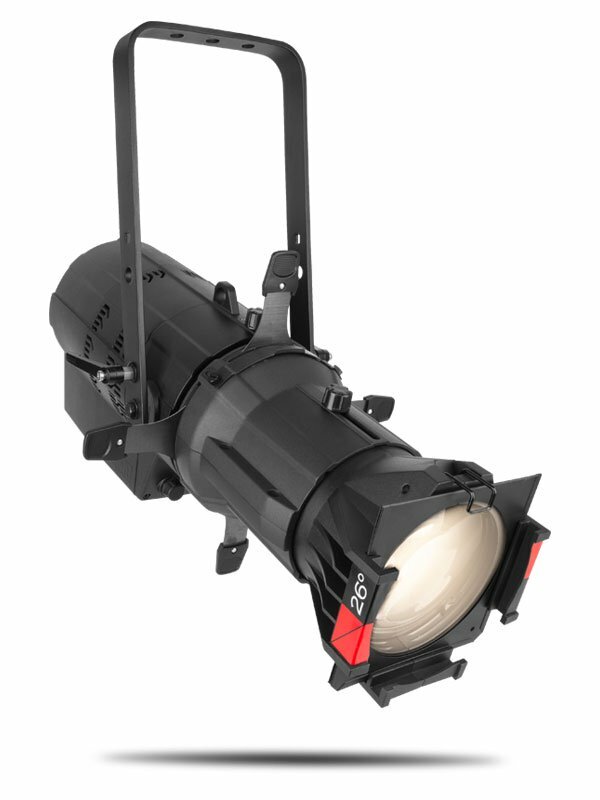 This groundbreaking ellipsoidal also boasts extremely smooth dimming down to the very bottom of the curve as well as a flat and even field of light for superior gobo projection. Selectable PWM, RDM, and onboard dimming curves ease setup and programming.